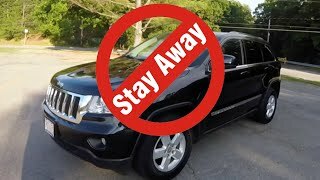 The Jeep Grand Cherokee 2012 has been nominated the SUV of the year by both the Rocky Mountain Automotive Press Association and the journalist organization at Denver International Auto Show for good reasons. The Jeep Grand Cherokee 2012 performs fantastic on rough terrain, delivers great safety features and offers a high degree of luxury for its driver and passengers. 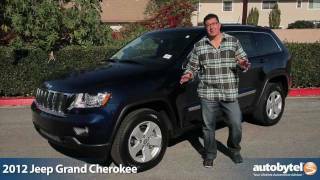 First, let's have a look at what makes the Jeep Grand Cherokee 2012 tick. The SUV comes with two engine variants. One of them is Chrysler's 3.6 liter Pentastar V6 engine able to produce 290 horsepower and 260 lb-ft of torque at 4,800 RPM. The second, more beefy engine variant comes in the form of a 5.7 liter Hemi V8 engine, capable of producing 360 horsepower and 390 lb-ft of torque at 4,250 RPM. Both engines feature the Variable-Valve Timing technology but the 5.7 liter engine also comes with Multi-displacement System for fuel-saving, as well as a dual exhaust system. As for the transmission, whilst the 3.6 liter engine is paired with a 5-speed automatic gearbox, the 5.7 liter V8 engine comes hand in hand with a 6-speed automatic gearbox. 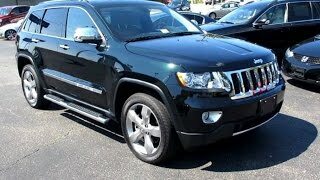 The Jeep Grand Cherokee 2012 is available with four trims, Laredo, Limited, Overlandand SRT8, and whereas the first three trims can sport either two or four-wheel drive, the SRT8 is delivered exclusively with four-wheel drive. One of the many features that make this Jeep a great off-roader is the Quadra-Lift suspension system which is able to increase the ride height by up to 4.5 inches by making use of four-corner air springs. Additionally the Selec-Terrain system enables the driver to modify the drivetrain and traction control system according to the driving conditions. As for the standard safety features, the Grand Cherokee 2012 sports Electronic Stability Control, Electronic Roll Mitigation, Four-wheel Anti-lock Brake System and Brake Traction Control System, tire pressure monitoring and six airbags at the front, just to name a few. On the interior the Jeep Grand Cherokee 2012 does not disappoint and not only does it offer great leg room due to its 114.8 inch wheelbase, but it also comes with lots of electronics and luxurious features such as the dual-pane panoramic sunroof, heated steering wheel, heated and ventilated leather seats, rear parking camera, rear seat DVD entertainment system and navigation. In addition, the Jeep Grand Cherokee 2012 comes with SIRIUS Travel Link, a feature able to deliver real-time information regarding weather condition, gas prices and more. 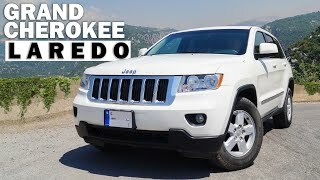 Overall, there's no doubt that the Jeep Grand Cherokee 2012 is a great, well equipped SUV, so now there's one question that remains unanswered and that's the price. 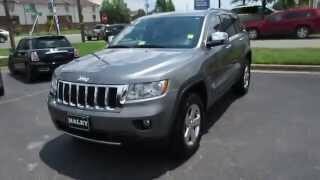 The Jeep Grand Cherokee 2012 has a MSRP price of about $27,000, making it less expensive than its key competitors, the Ford Explorer, 2012 Nissan Murano and 2012 Toyota 4Runner by roughly $1,300, $2,300 and $4,100 respectively.